Microsoft will combine its Azure cloud technology and Cognitive Services application program interfaces (APIs) with the artificial intelligence (AI)-based microbiome data management platform of Eagle Genomics to carry out microbiomic research into immune disorders and antibiotic resistance, Eagle said today. The collaboration—whose value was not disclosed—will be Microsoft’s first partnership partner focused on microbiome genomics, according to Eagle. Eagle’s e[automateddatascientist] is designed to apply AI to analyze genomic and microbiomic data at scale, with the goals of transform data into actionable insights for researchers while allowing enterprise users of the platform to assess a potential treatment's suitability for retail / consumption. In the partnership with Microsoft, Eagle said, its platform will be used to assess the impact of potential treatments and other products on the human microbiome—particularly its application in healthcare, personal care, cosmetics and food—with the goals of accelerating their development and entry to market while mitigating early risk. e[curate] application, designed to link and automatically annotate data sources or specific R&D data with appropriate semantic content. e[catalog], a central secure platform created to deliver an integrated web-based solution for information management of large-scale experimental datasets. e[discover], a tool designed to objectively assess the value of scientific datasets using Decision Theory techniques. e[hive], a platform intended to support sharing, versioning and a wealth of monitoring metadata necessary for experimental reproducibility, such as execution time, errors, user information and performance. The e[automateddatascientist] platform is already deployed in global companies that include GlaxoSmithKline (GSK) and Unilever. Eagle said its collaboration with Microsoft will enable the platform to be easily scaled at the enterprise level across these and many more. “We are seeing strong demand for our knowledge discovery platform amongst enterprise customers in the biotech and pharma, food and personal care industries as they embrace the digital reinvention of life sciences R&D. 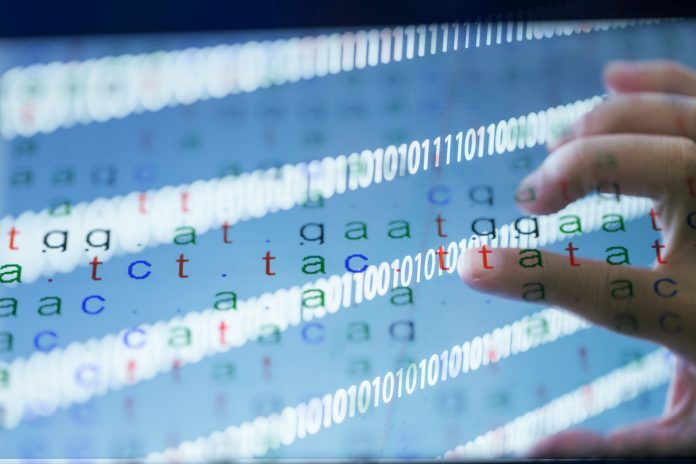 Microsoft Genomics will help tackle the computing and scaling challenges, accelerating the adoption of the technologies and the launch of new products and therapies, heralding a new era in scientific discovery,” Anthony Finbow, CEO of Eagle Genomics, said in a statement. The partnership comes one month after Eagle graduated from Microsoft ScaleUp, a program designed to help qualified tech companies accelerate enterprise sales by helping them prepare, market and sell with access to Microsoft’s Global Salesforce. Based in Cambridge, U.K. at the Wellcome Genome Campus, Eagle Genomics was founded in 2008 by Abel Ureta-Vital and Will Spooner with the goal of applying big data to genomics. Eagle is named after the pub in Cambridge where in 1953, scientists announced they discovered the DNA double helix.